Roald Dahl's Revolting Rhymes is a collection of poems published in 1982. They are a parody of traditional folk tales in verse. Dahl gives a re-interpretation of six well-known fairy tales, featuring surprise endings in place of the traditional happily-ever-after. They are known for their unsentimental, often very dark humour. 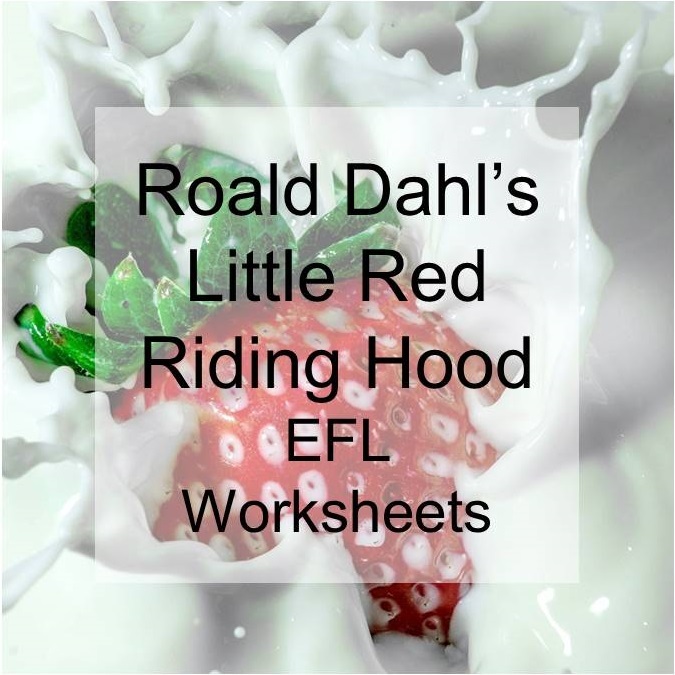 Little Red Riding Hood and the Wolf is an easily recognisable story with a strong rhyming pattern ideal for young learners. You can also listen to Roald Dahl reading the poem himself or watch an animated version of the story. Although it is a children's fairy tale, its humour and its unexpected ending makes it appealing to teenagers too. Level B1+. If you decide to use my lesson idea, leave me a comment and let me know how it went.